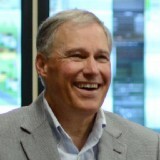 Governor of Washington state. Writing about innovation, jobs, education, clean energy & my grandkids. Building a WA that works for everyone.